Volunteers have already buried hundreds of people in a mass grave. Now they’ve been warned to make room for hundreds more. Many victims are feared unlikely to have survived the devastation, caused by collapsed buildings and severe flooding. 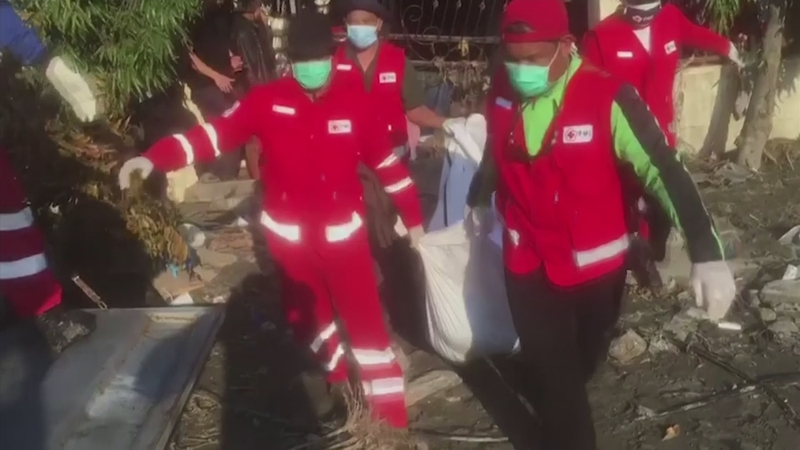 Thousands are now without shelter and food, as rescuers and aid agencies are working round the clock, with a lack of heavy lifting equipment hampering their efforts.